GTS1 is essentially a dead class throughout the country so there's no downside to an adjustment in hopes of attracting racers. Moving the ratio to 15.5 would also give a new home to anyone left out by the newly proposed GTS2 ratio. It's also potentially a great home for the non-M and PCars of GTS2 that have always felt outgunned. 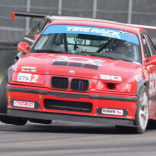 GTS2 has essentially been spec e36 M for years. These cars have remained forced into a class where they have to run a bunch of weight along with restrictors. The GTS2 field in Midatlantic is one of the more healthy in the country. Less than 10% would be capable of optimizing the GTS3 ratio. So even though racers want to race faster cars, they are forced to either stay where they can be competitive in GTS2 with their S52's, or move up to GTS3 where they aren't at the power to weight limit. Rather than forcing these racers to move to ST4 in order to be able to really run to the limit of their cars ability competitively, GTS2 should offer a better solution. 1. Over the past few years, the most frustrating thing to have is to be faster in the corners than another class, (cmc, spec e46, spec iron, American Iron, hell anyone with more HP than gts2 but not as good cornering). With an increased power ratio this will allow us to keep the other out of class cars at ya as not giving them as large of a power delta. This will lead to us in gts2 have closer Racing and less interference with other classes. 2. Keep more people in gts2, and also bring in new people that have come up the TT ranks. ST has a total monopoly on TT racers. St1-4 same rules as TT1-4. So if I was a new racer than had run tt4 (a “natural” class for the current most popular gts2 car, the e36) looking at gts2, I’d be looking at dutuning my car 30 some HP and adding ballast. We racers at heart just wana go fast and we will always be drawn to move POWER! So let’s close the gap beween st4’s ratio and gts2. We will keep more gts2ers and add more TTers to our ranks. 3. Because faster is better duh!? Support this proposal with 1 minor change of making GTS1 16.5 to 1 to open things for SE30 and 944 crossover.. Time to let the GTS2 cars run less weight and less restricted. I see no downside to this. Even consumables will go down due to the reduced weight. I support this. I'd like a little more juice and/or a little less weight on my wagon. ...I'd support it but why not give the E46 M3 / 987 series Cayman S a chance to run unrestricted in GTS3? Once you add conservative or greater tuning/exhaust...you have to ballast or bump to GTS4. It seems GTS4 is the hardest class and would continue to be to get entrants in once we adjust to those levels so why not consider an across the board adjustment of .5 or something? I proposed this maybe 4 years ago and was accused of simply trying to accommodate myself...that's when I stopped participating. I support this proposal. It makes sense for the series to evolve or be relegated to racing in a subjectively created (non data backed) rule set in ST4. I too support this, as a current GTS3 E36 M3, looking to join GTS2 for more competition. I run GTS2 and I think it would be fun to have a little more power, and it would be easy for our E36M3s to achieve since we currently run restricted S50/S52s. My only concern would be to alienate anyone currently running GTS2 that would have a hard time meeting this new power level. Yeap, I would be going from GTS2 to GTS1. Question. Our region has a bunch (12+) Spec Boxters which show up to many of our events. With aero and wider wheels / Hoosiers, they can be competitive (usually course dependent). Bumping the ratio to 13.5 effectively eliminates their competitiveness in GTS2 as it would require large enhancements, not legal for SPB. Any other regions have this issue? What do those drivers say about the 13.5 ratio change? In Midatlantic we had 2 Spec Boxsters commit to a season. Both were 2-4 seconds off the pace at every track even with aero. So after a season they decided it wasn’t worth it so 1 got a GT3 and the other stopped Racing. We have really large SE46 fields some weekends, 20-30 cars. Right now they are forced to double in ST4 Bc they make too much power for GTS2. They are not very competitive in ST4 due to not being near the power limits. With a ratio of 13.5 they would be right at the limit for GTS2 and would comfortably be midpack for the top racers. Do you have SE46 in your region? As someone who races GTS2 and would struggle to find the extra power, I actually find these arguments for everyone else pretty compelling. I'd rather have a less competitive car but more competitors. Maybe someone can take up a collection and send me a bag of those +5 hp stickers. But anything lower than 13.5 and I'd leave the class. By my calcs, you'd need a modified S52 in an e36 M3 to be competitive at 13.0 which just sets the bar too high for new entrants. Sounds like there isn't much activity in GTSU, GTS5, and GTS1. I'm all for shifts that make all classes relevant for more German cars. Do you have SE46 in your region? Zero SE46 cars in our region. The local PCA spec boxers do enjoy racing with us, and we would truly hate to lose them. Spec Boxster would probably slot into the newly proposed GTS1 with around 150lbs of ballast along with SE30/944 etc. They would probably go from back pack (of GTS2) to the front of GTS1. The current ratios as-is just simply doesn’t suit to SE30 or SE46 which are pretty large classes in MA and SE. So it’s a really large missed opportunity for crossover. A survey was done on the SE46 page about the 13.5 ratio and it’s almost unanimous support so far that it would gain interest from them to crossover. I can certainly see your perspective that you would lose those cars without necessarily gaining new cars. I guess just depends on what is perceived as the better route for the growth of the class nationally.